Native Americans were the first inhabitants of the land in and around McCall. Three tribes, the Shoshone, a sub-band of the Shoshone known as the “Sheepeaters,” and the Nez Perce, inhabited the land primarily in the summer and migrated during the harsh winter months. In the early 1800s the nomadic French Canadian fur trapper, François Payette, roamed the area alongside other mountain men like Jim Bridger, Peter Skene Ogden and Jedediah Smith. During the 1860s miners temporarily named the settlement “Lake City”, but only alluvial gold was discovered and they moved 50 miles north to the town of Warren. The settlement of McCall was established by Thomas and Louisa McCall circa 1889-1891. For a cabin and assumed rights to the 160 acres of land, they traded a team of horses with Sam Dever, who held the squatter rights. Tom, his wife, four sons and a daughter lived in the cabin located on the shore of the lake near present day Hotel McCall. He established a school, hotel, saloon and post office, naming himself as postmaster. He purchased a sawmill from the Warren Dredging company and later sold it to the Hoff & Brown Lumber Company, which would become the driving economic force until its closure in 1977. During this time Anneas “Jews Harp Jack” Wyatte provided the first recreational sailboat rides around the lake for tourists and advertised in the Idaho Statesman a “30 foot sailing yacht for the use of parties who might visit the lake”. The Statesman referred to McCall as a “pleasure resort”. Tourism continued in the early 1900s. In June 1902, the Boydstun Hotel in nearby Lardo opened as a “place to stay and camp on Payette Lake”. In 1906, Charlie Nelson opened a tented camping area known as Sylvan Beach Resort along the west side of Payette Lake. In 1907, Lardo Inn opened for business. 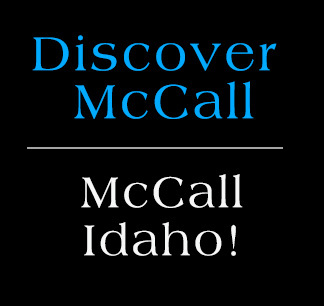 The arrival of the Oregon Short Line railroad (later named the Idaho Northern and Pacific Railroad) in 1914 secured McCall as a viable community and tourist destination. Three years later McCall was incorporated as a village. In the 1920s the State Land Board started leasing homesites along the lake. The now famous Winter Carnival started in 1923-1924. Reports vary between hundreds to thousands of tourists visiting the festivities. The beauty of McCall and Payette Lake drew attention from Hollywood in 1938 when they selected the area to film the Academy Award-nominated Northwest Passage, starring Spencer Tracy, Robert Young, and Walter Brennan. The film, released in 1940, was about the French and Indian War of 1755-1763. 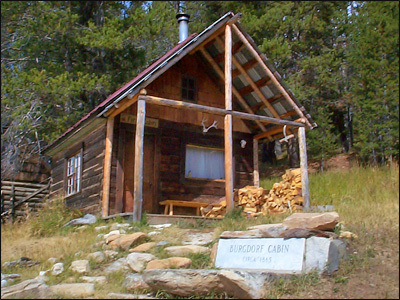 In 1943, the United States Forest Service opened the McCall smokejumper base. It is one of only four smokejumper training bases in the United States. The site includes a smokejumper training unit, paraloft, Payette National Forest dispatch office and the McCall air tanker base. In 1965, a 1,000 acre peninsula 2 miles outside of McCall became the Ponderosa State Park. The park is home to some of the largest old growth trees in the Western United States.